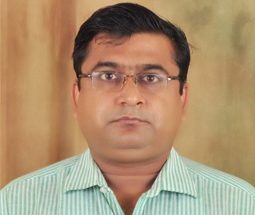 Prof. Anshu Abhishek has an MBA in Finance and is working for a Doctorate in Management from Patna University, Patna. He is UGC NET qualified. He has undergone a three month Faculty Development Programme (FDP) at IIM Indore. Apart from that he has attended a number of FDP programmes of short duration from IIMs and others reputed institutions. He has an experience of more than eight years in academics. He is also trainer of SAP FI/R3 and certified as trainer of SAP by Dexler Bangalore. He has published and presented research papers in various national and international journals and conferences. His research area is Finance and Business Analytics. He is well versed in Financial Modeling, Business Modelling and Analytics. He has participated in number of research based seminars and workshops. He gives hands on training on Advance Excel and SPSS to the Research Scholar and MBA students.